Big Block engines increased to 454 CID. The Small Block remained with 350 CID but a new high performance LT1 350 CID generated 370 HP. This was the last year for high compression engines. 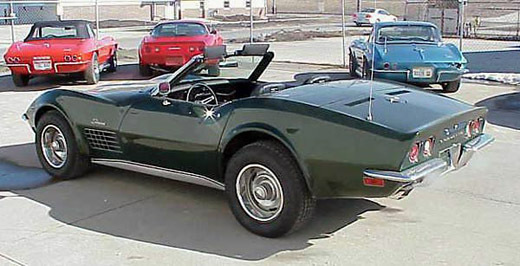 THe body was slightly modified to include fender flares behind the wheels.